I’m not having much luck with my latest Burgundies from the Wine Society. This one would have cost £24.25 if it had not been included in a cheapo Burgundy bin end case. The 2004 is available at £28.50 – maybe that is a better bet now? The 2001 I opened the other evening was slightly oxidised but there was clear evidence of a super wine under the dull acidity. Apple and blackberry, raspberry and ginger. It tipped a good nod to Pinot Noir with the smell you get when you chuck damp leaves on a fire. 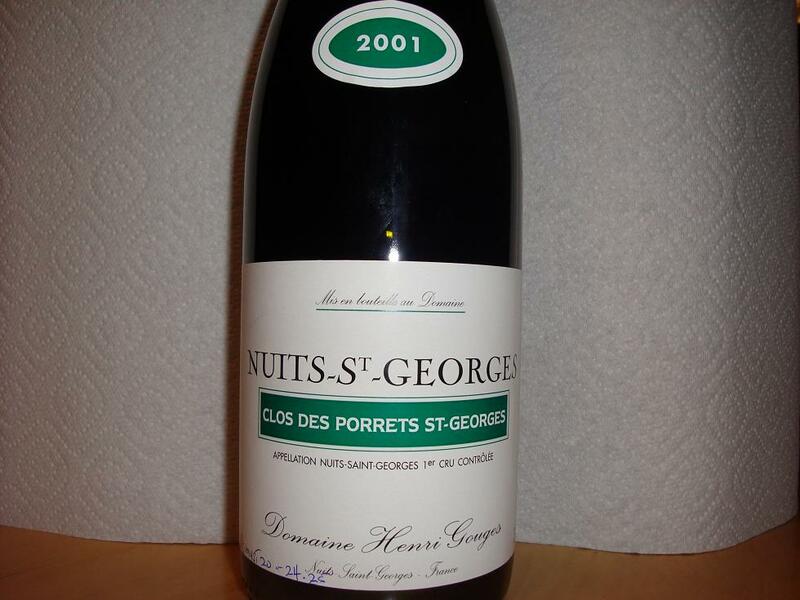 It wasn’t so badly oxidised as to make it undrinkable but a £25 Nuit St-Georges like this should have had me in ecstasy rather than objectivity. Shame. This entry was posted on Monday, March 16th, 2009 at 7:07 pm	and is filed under burgundy. You can follow any responses to this entry through the RSS 2.0 feed. You can leave a response, or trackback from your own site.